On June 8th, 36 Professional Engineers (P.Eng.) and Engineering Interns (EIT) gathered to learn more about the new PEAK program which PEO launched in March 2017. Bernard Ennis, P.Eng., Director of Policy and Professional Affairs at PEO informed attendees about the features of the new program and elaborated on why the program exists and how it can serve both PEO and the membership through maximum participation. 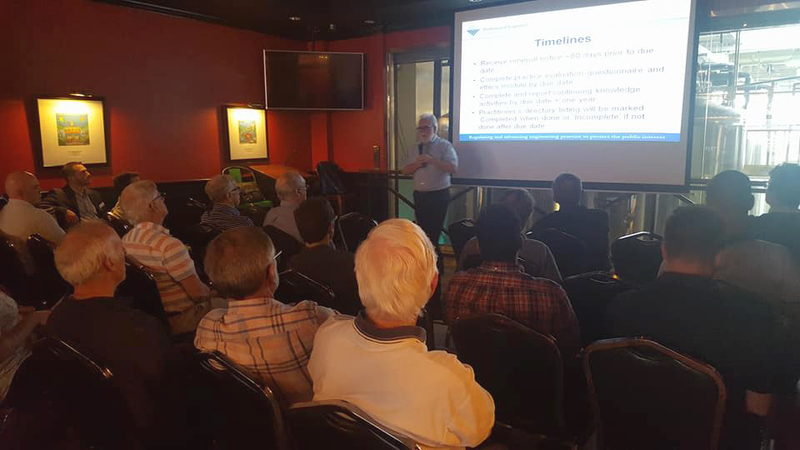 Mr. Ennis answered many questions from the audience covering topics surrounding the definition of “non-practicing” engineers, how to switch between practicing and non-practicing, and how the program affects retired members. Throughout the presentation, the group enjoyed on-site food and beverage offerings from the Flying Monkey’s Craft Brewery. After the presentation, many elected to take a tour of the facility. This entry was posted in Event and tagged PEAK, tour. Bookmark the permalink.